A talk about the artist in all of us! 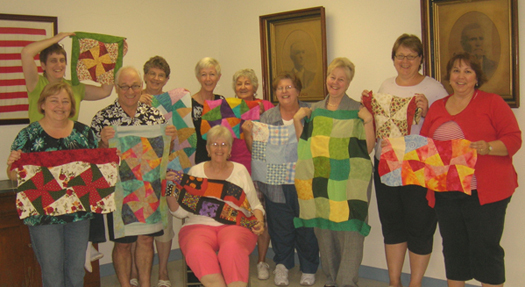 Kathie will bring examples of her work to this lecture. This is an interesting and inspiring lecture on how to free up creative energy. It will also help identify artistic growth in all of us and help you pursue your own growth. 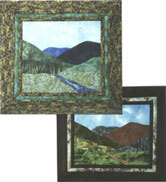 There really is an artist in each and every quilter. I tell my audience where she is and how to recognize her. 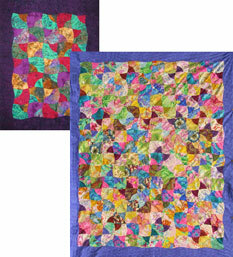 I'll explain the many physical and emotional ways we all see color differently, and how that works into your quilting. 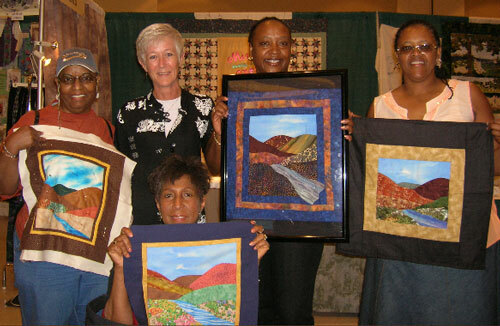 My job is to inspire and encourage every member of my audience to have confidence in her own unique quilt work. A one-day class where I demonstrate all of the current variations to the Flip Flop Block curved acrylic template of my own design. The students then work on the design of their choice. I help with color and construction techniques. 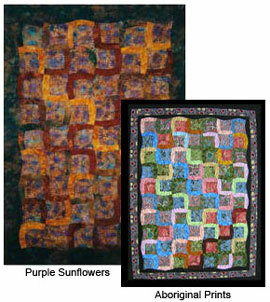 I recommend students make a small project during class; a lap quilt or a placemat. A fun, quick, get it done day (3 hours). Make yourself a placemat and learn to use the Flip Flop Block template. Four different design choices, all featured in the Flip Flop Block book published by AQS and Kathie Alyce. A one-day class to make a small wallhanging by machine with gentle, curved piecing using my own pattern design. I help students with color placement and design and teach them the basics of making a landscape by machine. 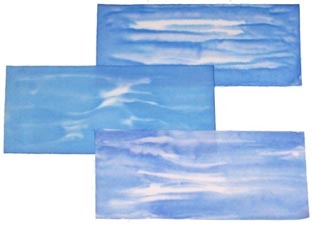 I will have samples of my hand painted sky and water fabrics available for sale. This class is a day-and-a-half immersion in sky painting and landscape design. 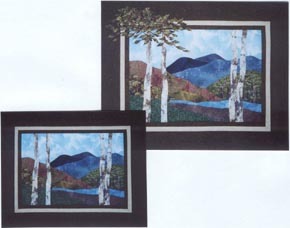 For the class the group paints their sky fabrics the day before, and spends the following day making a personal landscape scene. 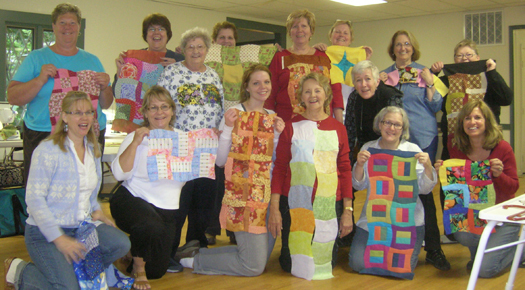 Each participant uses their own sky fabric, a pattern, rotary cutter, and sewing machine. The painting portion of the class can take place indoors and can be done in a three-hour session the evening or afternoon before the next class. Expenses (food, travel and lodging) not included in fees.